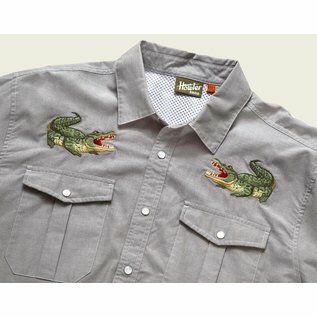 Howler Gaucho Snapshirt Gators - Tight Lines Fly Fishing Co.
Our desire to make the Gaucho Snapshirt is one of the reasons we started Howler Brothers in the first place. 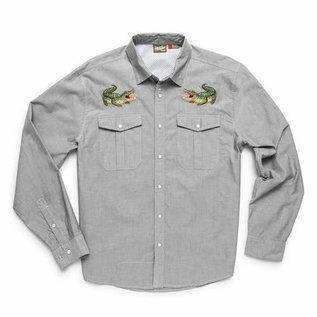 We wanted to transform the vintage western shirts of the past into something technical and wearable in everyday life while maintaining a little of their quirky nature and penchant for unique, embroidered artwork. 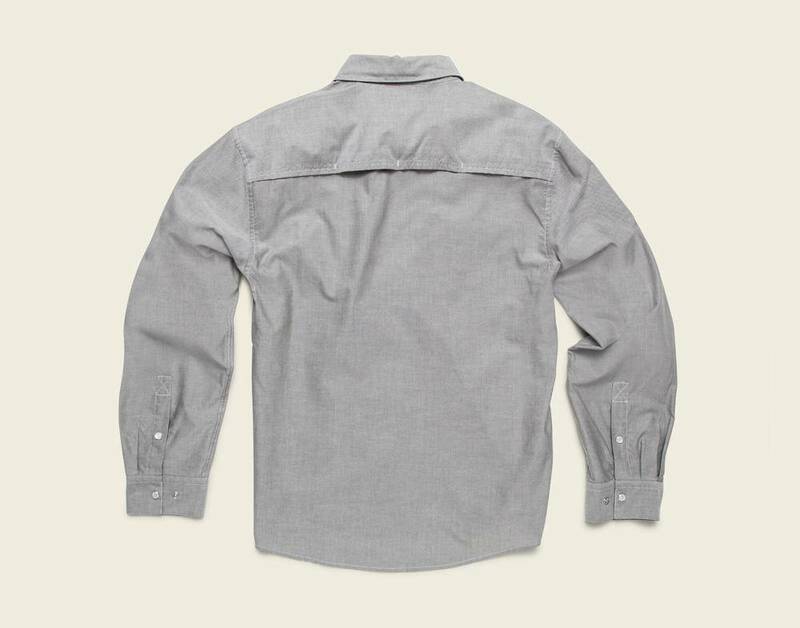 We succeeded in a big way by making ours out of lightweight, quick drying poly- cotton blend and adding a cooling mesh-lined vented back yoke to keep it cool when the temperatures are cooking. 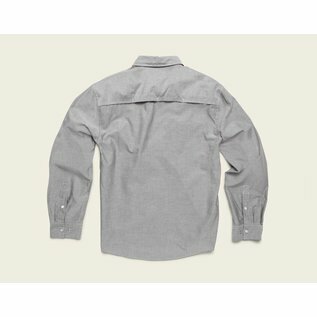 We threw in pleated chest pockets, pearl snaps, and an ever evolving slate of custom embroidery. 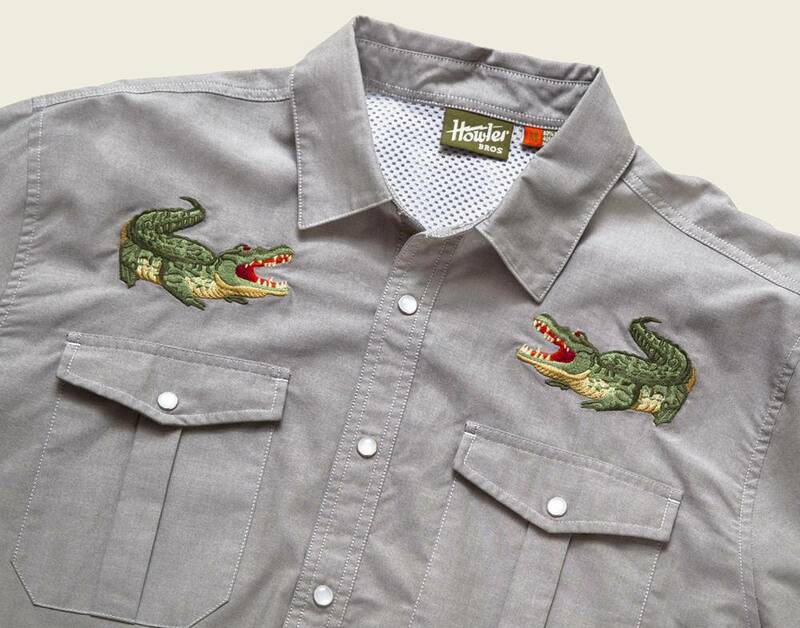 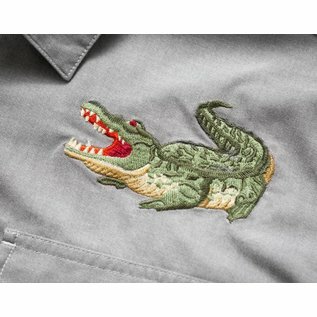 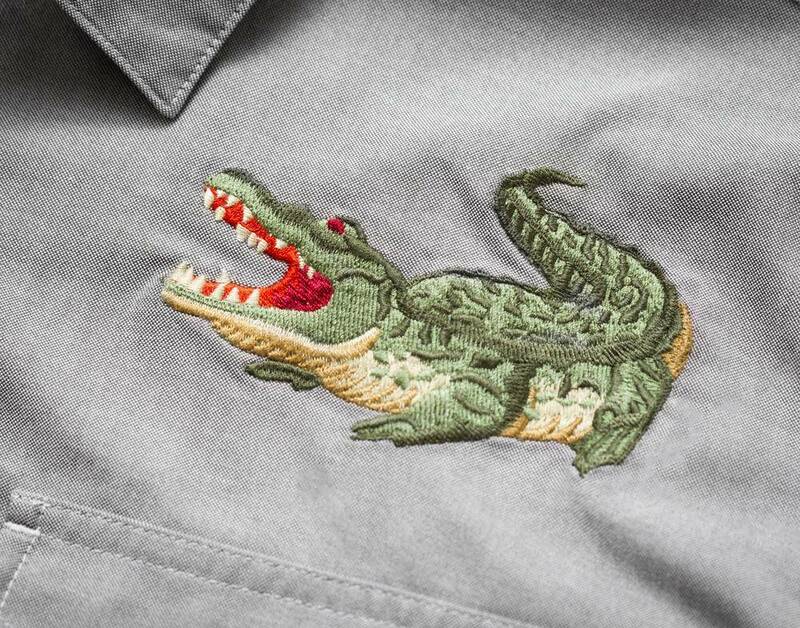 Available in Olive Oxford: Big Gators.